This page will be dedicated mainly to research documentation. Copies of census soundex cards, ship passenger lists, naturalization records, land deeds, etc., will be included. If you have any information that pertains to the Tinjum (Tønjum), Wolff, Lau, or Wetzel surnames you wish to share, please send photos or scanned documents via email attachment and we'll upload as soon as possible. County Index consolidated Iowa, Thursday, March 31, 1932. "INFLUENZA FATAL TO FRED LAU, RESIDENT OF VICINITY 60 YEARS"
"In Failing Health Two Year, Pioneer Settler Passes Away at 82." " Fred Lau, 82, a resident of this vicinity for about 60 years, died early Monday morning at the home of his son, Emil, north Eighth street, Northwood, where he had been moved a few days before from his own home on north Twelfth street. Mr. Lau had been failing steadily for the past two or three years and an illness of influenza complicated with pneumonia settled on him last Friday, resulting in his death on Monday. Funeral services were held Wednesday afternoon at 1:30 o'clock at the home and at 2 o'clock at the Zion German Lutheran church with the rev. E. W. Kraemer in charge. 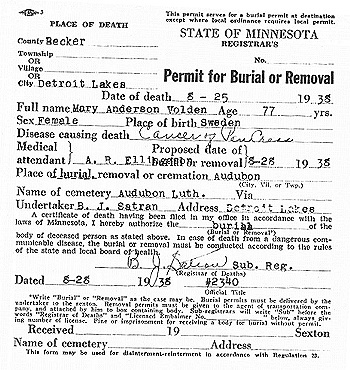 Burial was made in the lau family cemetery near the state line. Born in Germany. Friedrich Wilhelm Theodor Lau was born April 20, 1849, at Grosburg Hagen in Pomerania, Germany, the son of John Gustav Lau. He was baptized in infancy in the Lutheran church at his birthplace. 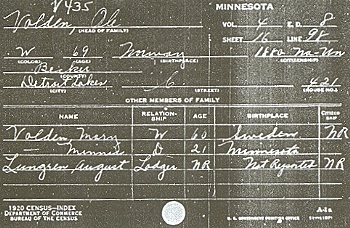 When five years of age he came to the United States with his parents, the family locating near Lowell, Wisconsin. He was confirmed in the Lutheran faith at the age of 16 by the Rev. C. Strasen,at Lowell, Wis. On February 12, 1871 he was united in marriage with Wilhelmina Broitzman, of Reeseville, Wis., who was his faithful helpmate for almost 60 years. Their golden wedding anniversary was celebrated in 1921. Mrs. Lau died in 1929. Six children were born to them, Mrs. Lena Wolff, Herman, Edward, Emil and Werner Lau, all of whom live in Northwood and vicinity and Mrs. William Lau, who died about 27 years ago. Moved Here in 1871. In 1871 Mr. Lau, with his young bride, came from Wisconsin to St. Ansgar, and after living there for about one year they moved to what is now the Lau homestead on the state line northeast of Northwood. As the years went by they accumulated more land to add to the original homestead and erected new buildings. The present situation of the farm is unique in that the house and part of the buildings are on the Minnesota side of the state line while the barn and other buildings are on the Iowa side of the line across the road. Farmed for 45 years. On this farm the deceased lived and labored for 45 years until he retired in 1917 and moved to Northwood where he has since made his home. He enjoyed good health during most of his long life, but during the past two or three years he began to feel the effects of advancing age. He was taken ill last Friday with influenza and pneumonia, death resulting Monday at the age of 82 years, 11 months and 8 days. In addition to the children above names Mr. Lau is survived by two brothers, Otto, of Northwood, and Julius, of Windom, Minn., one sister, Mrs. Bertha Weber, of Milwaukee, 16 grandchildren and 18 great grandchildren." 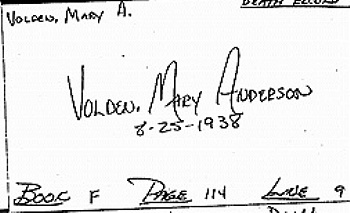 Thanks for visiting The Documents Page.